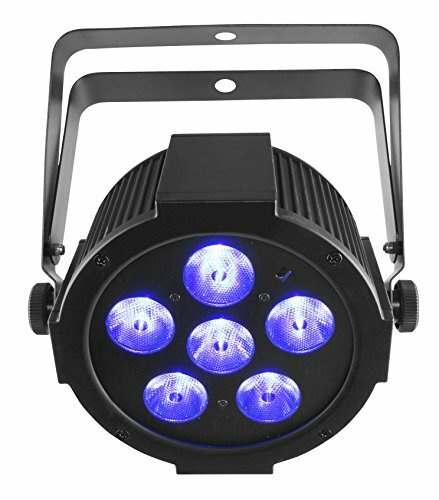 SlimPAR H6 USB is a low-profile RGBAW+UV LED wash light with D-Fi USB compatibility for wireless master/slave or DMX control. It also works in sound-active mode. Built-in dimming curves provide smooth LED fading, and the 6-in-1 LED technology generates a broad spectrum of natural looking colors. Precise colors can also be created with the built-in LED display. Point-and-shoot operation of static colors and automated programs is possible with the optional IRC-6 remote. Compact designed, it works as truss warmer. Easily transports in the optional CHS-30 VIP Gear Bag.